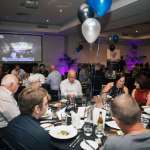 Rally NSW have held its 2018 presentation and 2019 launch party in front of a packed house at Rydges Hotels & Resorts in Rosehill. 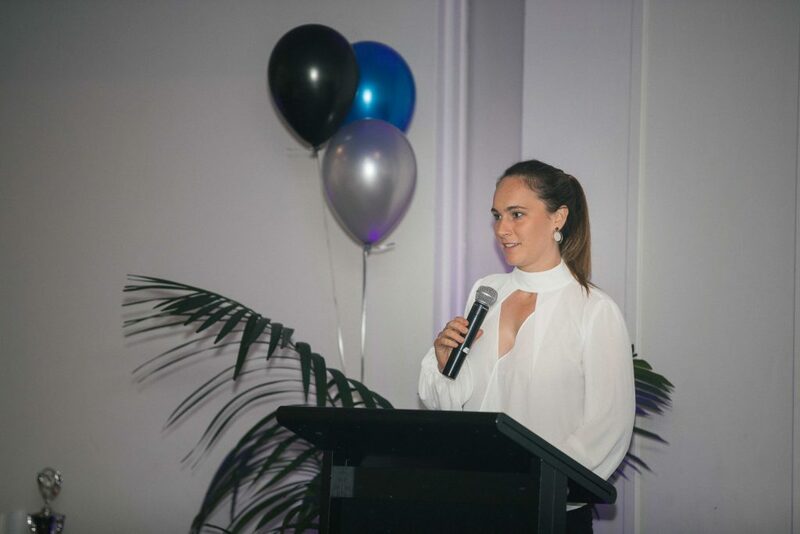 Hosted by CAMS Australian Rally Championship star Molly Taylor, it was the perfect evening to cap off what was a fantastic season last year as the class and outright winners from the states’ seven series were awarded with their deserved silverware. 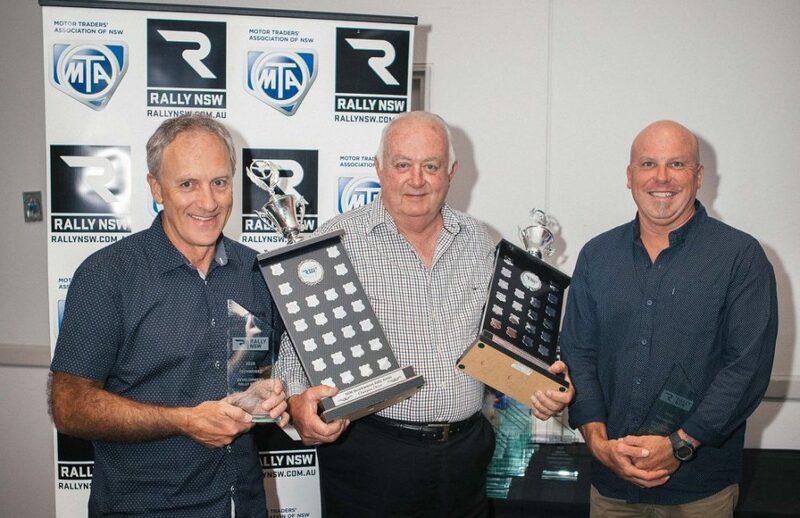 With 2018 MTA NSW Rally Championship winners Glenn Brinkman and Harvey Smith the big stories for the evening, a variety of other winners were recognised for their own brilliant seasons. Headlining the list of other winners was the popular pairing of Bruce Durham and Steve Bramble, who found themselves in the spotlight more often once, after winning three of available series. Click here to view the full list of class and outright winners. Behind the wheel of their trusty Celica, the duo managed to secure the Speedmaster Open Rally Series, the Techworkz Development Rally Series and the Techworkz Clibman Rally Series, making it a highly successful year. East Coast Classic Winners Tom Dermody and Eoin Moynihan and V-Sport Rallysprint Series champions Michael South and Justin Goodreid were also celebrated for their respective titles in tough classes. Damien Frizell and Tegan Meek were the final outright winners to be celebrated for the evening, with the duo being recognised for their outright victory in the Premier Panel Beating Hyundai Rally Series. 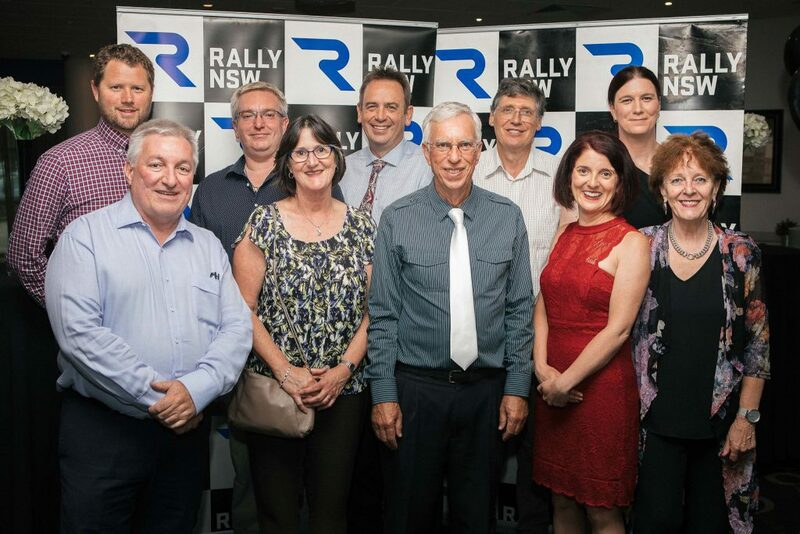 Another highlight of the evening was the much anticipated presentation of the 2018 Sporting Achievement Award, awarded to New South Wales competitors with outstanding performance outside Rally NSW events. After producing a host of solid results throughout the year in their Nissan Gazelle, including the Classic Outback Trial victory, Andrew and David Travis were announced as the 2018 winners, a thoroughly well deserved victory for their hard work in 2018. Click here to view the full gallery from the event. 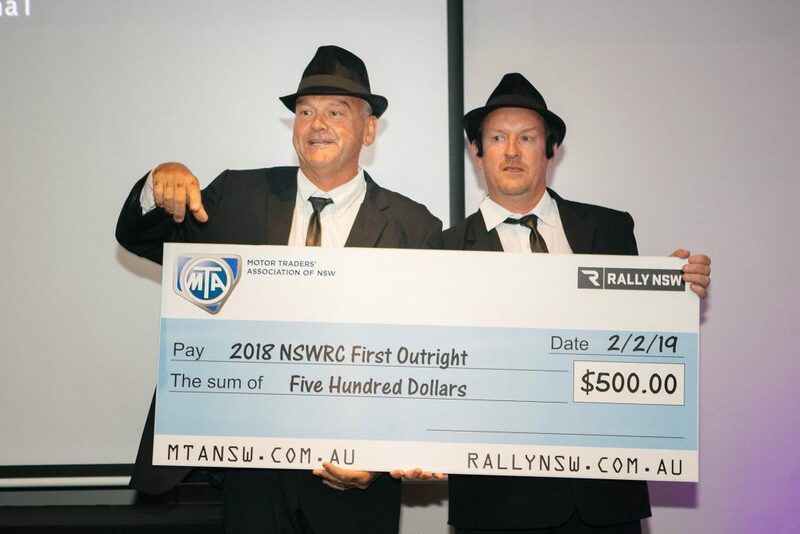 Rally NSW’s next event for 2019 is the Nabiac Rallysprint on Sunday, 10 February in Nabiac, New South Wales.